Use code JRM1003 for a 10% discount. The Paymaster is a group of lode and placer claims located on Sun Creek near its confluence with Black Gulch. The mines have produced only gold as can be determined. There is very little documentation aside from locals hearsay. The claims lie in the farthest reaches of the Elk Mountain District, also known often as the Gunnison District, at the southern tip of the West Elk Mountain Range. The mines sit on Sun Creek, just over the ridge from the Happy Hour Gold Placer operation. The two operations may have been part of a single company at one time. The Paymaster is differentiated by the lode mines that are found north of the main camp. 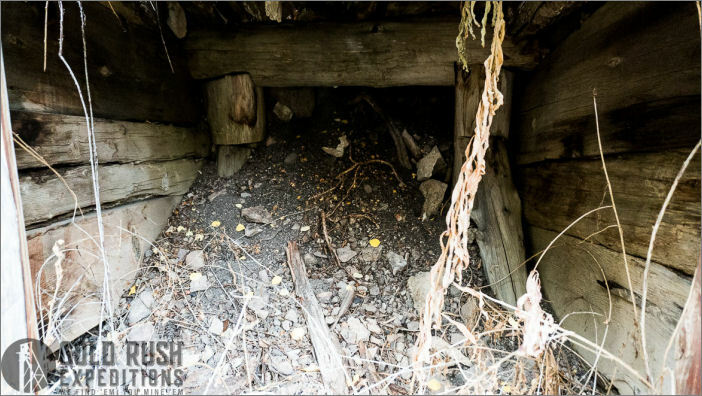 These mines were quite substantial and are noted to have produced native or free milling gold. Below these mines, Sun Creek runs the base of the canyon. 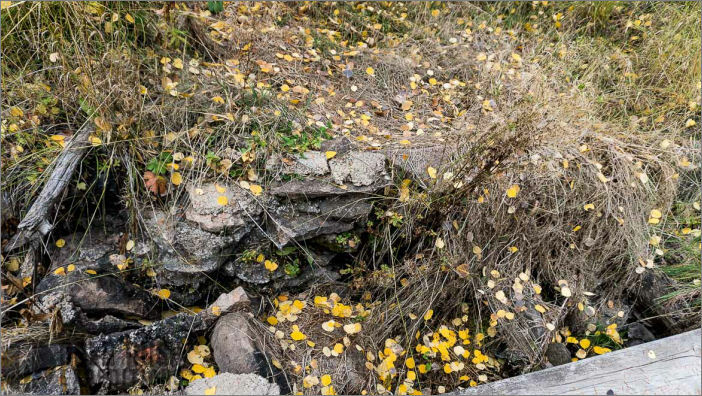 Gold has been found in this creek and others in the region since at least 1870. These mines are largely unworked. The adits have likely been closed for at least 50 years if not longer and will take some effort to be re-opened. The creek can be run for placer gold in its current condition. The property is at an elevation of 8870. 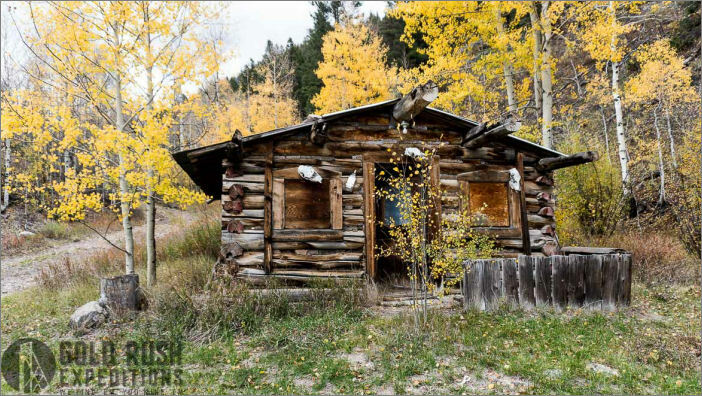 One of the primary benefits of the property is a well-maintained cabin that is in very good repair and usable in its current state. With a properly filed Notice of Intent, the operator could utilize the cabin to support the mining operation and work on site for at least six months out of the year, possibly longer. It is estimated that the last mining operations were undertaken in the early 1970s and those were very rudimentary. Local historical sources stated that the underground workings were closed by the miners with the advent of the War Act and were never re-opened. They also confirmed that gold has been taken from the region in the form of placer gold in small nuggets and grains. 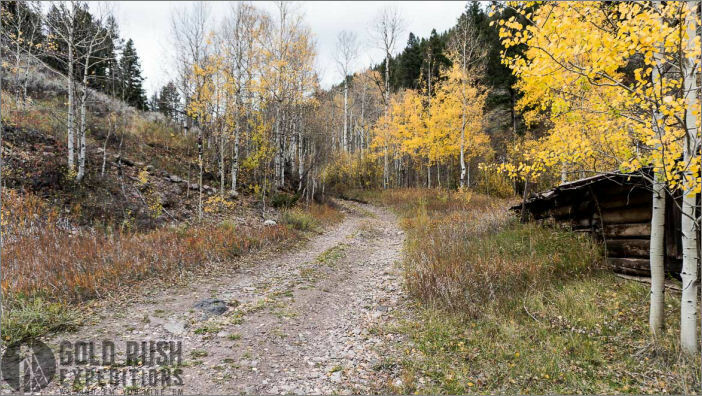 The property is remote and there is limited access into the canyon via Colorado County Road 859. This road is not passable except by snowmobile in the winter months. The cabin will need light rehab and cleaning but is solid and structurally sound. There is electrical lines run and a small generator could be plugged into the system for full lighting and electrical. The cabin appears to be somewhat kept up by hunters or local outdoor enthusiasts. The roof has been reinforced and is not leaking. The value in this being that one could stay on the claim and work through the season in relative comfort. Being on site it would be possible to bring equipment to work the claim and monitor same. The mineral value on the claim is gold. Light panning in the creek behind the cabin produced small grains of gold. An average small operation could reasonably expect to extract 1-1.5 oz per day if processing 1 ton per day. The region is also known for its gold production, though the larger, well-known gold mines are located much farther north. The adits on the property show quartz and limonite in the dumps. There is track coming out of the larger, lower adit, indicating that the two adits likely intersect underground and the larger adit was used for haulage. High-grade grab samples from the waste dump returned assays just under 1 oz. AU per ton. The Creek has been lightly modified for placer operations and there are a few pools and small dams. There is abundant material in the slow-moving water, but working down to the river rock, the material gives way to black sands, gold in small grains and some shiny quartz bits. With proper permitting, one could operate, with very little interference, a productive placer wash plant. With this income, the adits could be re-opened and assessed. It is likely that the workings of the mines will prove far more valuable and lucrative than the placer workings.